The first digital compilation on Dutch imprint Pssst Music sees label owners and DJ/production duo Chocolate Puma, AKA René ter Horst and Gaston Steenkist, dig deep to compile a selection from the label’s catalogue; including some unknown B-sides, some well-known re-mastered classics and some new material produced since the label’s 2011 revival. Pssst Music was started in 1995 by Chocolate Puma, after discontinuing the hugely successful Fresh Fruit label, on which they released their seminal ‘Give It Up’ under The Good Men moniker. Pssst music saw René and Gaston focusing their attention on developing new artists and inventive new music, whether that was underground techno or bumping house music! For that reason 17 years on Pssst Music boasts a diverse treasure trove of music, from techno that only beard-stroking hipsters in dingy basements would approve of, like Collin Bros ‘Pontti’, to records that have graced the playlist of Top Of The Pops, like Chocolate Puma’s ‘I Wanna Be U’. 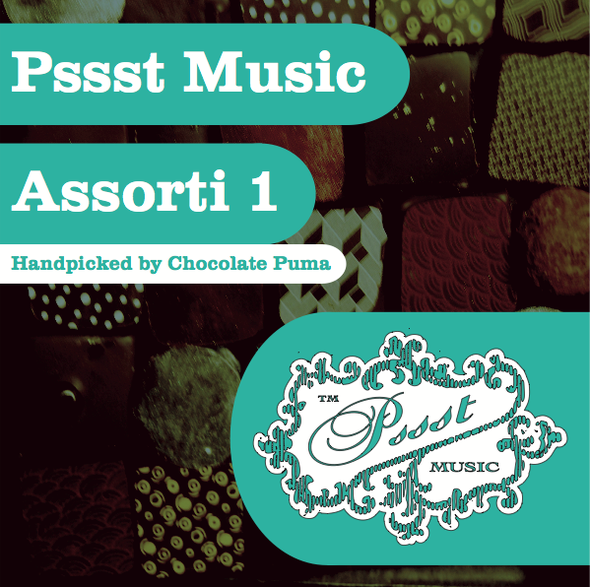 ‘Pssst Music Assorti 1 Handpicked by Chocolate Puma’ features classics including The Good Men ‘Kintoki’, the aforementioned Collin Bros ‘Pontti’ and Jark Prongo’s ‘Wet Pants, Smelly Elbows’. House heads will be thrilled that Fresh Tunes #3 ‘The Man’ and Jark Prongo’s ‘Sweet Little Thing’ have received a dusting off and the compilation also features Chocolate Puma ‘The Wall Between Us’ which is brand new and completely exclusive to the compilation.